Dha Dha 87 is a part of the National Awards nominations. Sri Pallavi, who played the supporting role of a trans woman in the film, has been nominated under the Best Actress 2018 category. The film is written and directed by newcomer Vijay Sri G, and stars Charuhasan and Saroja in the main lead. Comedian Janagaraj, Sri Pallavi, Anu Pallavi and Anand Pandi played significant roles. Sri Pallavi has acted in three Telugu movies, and made her Tamil debut with Dha Dha 87. Times of India reported that the director said that her role was distinctive and would become one of the most talked-about characters. He also said several actors denied the offer before Sri Pallavi came on board. The filmmakers have released a press note saying this was the first time a woman was playing a trans woman’s role in Tamil cinema, and the National Award nomination was for her bold portrayal. Actors like Sarathkumar and Vivek have played trans persons before. Only a few filmmakers have starred trans women actors, such as Anjali Ameer in Peranbu, Anjali Varadhan in Aruvi, Kalki Subramaniam in Narthagi, Savitha in Thira. 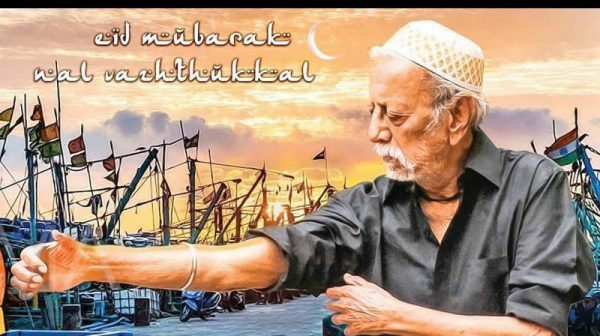 Dha Dha 87 features Charuhasan, who is 87-years-old, as a local ageing gangster. Keerthy Suresh’s grandmother Saroja (80) starred opposite him. The film’s story followed Charuhasan who heads a local gang which gets triggered by a caste war. Some suggested that it was a sequel to the 1988 film Sathya which starred Kamal Haasan in the lead role. Dha Dha 87 was dubbed in Hindi, and produced by Kalai Cinemas. Leander Lee Marty was the music composer, cinematography by Rajapandi, editing by Sri Vatsan. The official trailer of the film released in September, and a teaser released later. The film was out on March 1, but did do well and some critics said that the movie had a transphobic premise and confusing plot line.